Ryder System Inc. has announced what it claims to be the largest commercial electric vehicle (EV) purchase in the U.S.
With an order of 1,000 medium-duty electric panel vans by Chanje Energy Inc., Ryder and FedEx Corp. have also executed a truck leasing and preventive maintenance agreement primarily for Ryder’s ChoiceLease fleet. 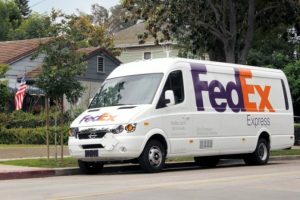 The purpose-built EVs will be operated by FedEx Express for commercial and residential pick-up and delivery services in the U.S. The fleet is expected to be deployed throughout California over the next two years.